My in-laws love the county fair. It’s one of their FAVORITE family traditions. Did I emphasize favorite? When I came into the family, I readily embraced this tradition. Bring on the fair food! 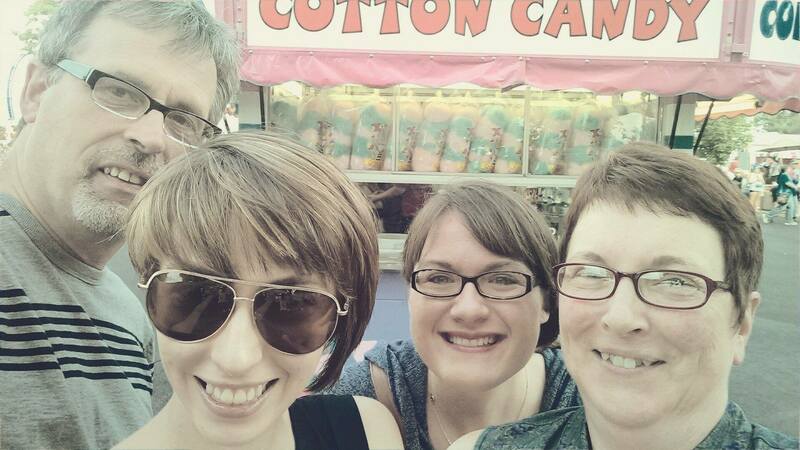 I remember my first time at the fair with the Neff clan. It was the Sandwich Fair, in Sandwich Illinois. I was a little disappointed there were no free sandwiches. But I digress. Jon and I had been dating several months and it came time to bring me home to meet the family. I already loved him, but I quickly fell in love with them too. 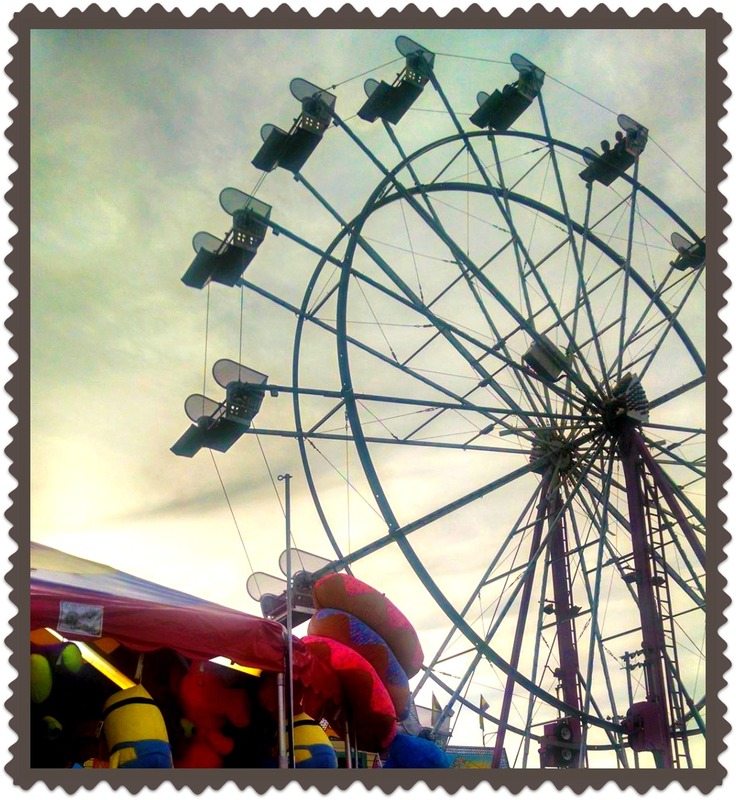 I loved experiencing their joy over something so simple as the county fair. How those words make me smile. I think I got to have five county fairs with Jon and the whole family. Then Mom and Dad Neff moved away. And then Jon died. It was not the same. A place that had been fill only with joy, now met me with tears. But this we year got to go to the fair again! How we laughed, and reminisced. It was just “right” to be there with them again. My mother-in-law even gave me a quarter to feed the animals. Happy. As we relished our fair food and took in the sights, my thoughts turned to adoption. Yet she was a believer in Jesus. When she knew she was pregnant, to end a life was not an option. She spent months of her pregnancy hospitalized. During that time she kept a journal for her unborn son, Jonathan. I have this journal, and it’s a touching link to a lady I never got to meet. Her love of Christ leapt from the page. The doctors were right. Having a child debilitated her. When Jon was five, his mom had her first stroke. He quickly learned to dial 911. Eventually, she died after multiple strokes and after having both legs amputated. Jon was 14. In Jon’s words, he learned how to love by watching his dad lavish affection on a wife who was an invalid for years. Jon said his dad always adored her. I can’t wait to meet that man someday. and thank him! For I was the beneficiary of those lessons in love. Lavish, extravagant love. I so wish I had gotten to meet Mom and Dad Atkins, to know the parents my husband cherished so dearly. Some day I will! But, Jon’s dad also died. At 19, he was alone. Astonishingly though, God was up to something new and marvelous: giving him another family. Before he died, Jim asked his pastor to watch over his son. So the Neff family prayed. “Can we take on such a role? So they adopted a son. And Jon got another mom and dad, two brothers, a sister, a dog, and a cat. Another family to cherish. His brother Ben jokes that Jon held the world record for longest sleepover. They went through some crazy rough times together. At times he made them angry. At times he broke their hearts. But a miraculous, beautiful thing was forming. Another son. Part of the family. They played such a huge, indispensable role in the man he became. At our wedding, Jon couldn’t help but be choked up about the beauty of adoption. Through example, his second parents taught him the reality of an even greater adoption. Jesus accomplished the greatest adoption. His death and resurrection brought His own into the family! As Mom and Dad Neff chose Jon, so God adopts His chosen ones. He makes them part of His family, as sons and heirs. His love is lavish. Ever since that first county fair, I have understood adoption too. I have a beautiful family, but I also have a second family. Praise God for adoption. Praise God for an even greater adoption! Adoption, one of the most tender facets of the gospel, causes me to marvel at the love of God. I am a daughter of the King. I’m a child of the Most High. I’m an heir with the Son. My Father has every resource at His disposal. Because I’m in the family, I am never alone. My Father will only ever do good to me. Who knew the county fair could produce such magnificent thoughts? Next > So why do I? Write, that is. Thank you my lovely friend! I think the more I write the more I see truth in the little things. Missing you! An oak of righteousness? Two years after death. Not Performance. Not fear of Punishment.